Businesses who want to reduce waste and save money can rethink their entire supply chain and identify new ways to reuse materials and further reduce waste. Paper and paperboard products make up a large portion of the municipal solid waste stream in the U.S.,3 and as a result, offer the greatest opportunity to recycle. 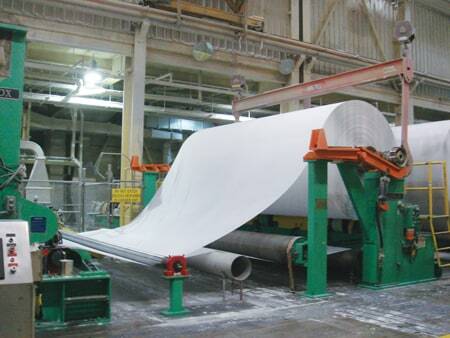 Paper is already one of the most successfully recovered and recycled commodities in the U.S. because of a strong, market-driven voluntary system. Recovering valuable resources extends the fiber supply, allowing the paper industry to reuse its products to make new ones. In addition, paper recovery saves landfill space—an average of 3.3 cubic yards of landfill space is saved for each ton of paper recycled. The paper industry’s recycling success leads the way for all other U.S. recycling efforts. While changing consumer preferences away from traditional packaging and towards more sustainable solutions can certainly help minimize the impact of the paper and paperboard industry waste, this will not completely eradicate the solid waste problem. Recovered fiber can be used to make the necessary essentials that we use every day. Fortunately, countries and organizations are realizing that they need to step up and develop policies that would reduce the amount of waste that ends up in landfills. In 2017, 65.8 percent5 of the paper consumed in the U.S. was recovered for recycling. This is an impressive number, but there is more that needs to be done. For example, in the U.S., the paper industry has set a goal to exceed a 70 percent recovery rate of paper for recycling. China recently proposed expanding its scrap import ban to include all recovered fiber and every other form of solid waste, forcing many countries worldwide to now deal with this additional material. But these are just two examples. If others are not prepared to start treating garbage as a resource, future generations will end up drowning in their own waste. For businesses looking to improve supply chain processes in an effort to eliminate or minimize waste, recognizing the value of repurposed fiber is more important than ever. A company’s sustainable practices greatly influences consumer purchasing decisions, and businesses have an important opportunity to improve and drive innovation by recycling and reusing materials to create an industrial ecosystem. Implementing a responsible and transparent policy regarding the purchase of recycled materials and efficiently recycling scrap materials is one effective way for businesses to contribute to a circular economy that maximizes the lifecycle of all materials and fully reuses all end of life materials to make new products that further feed into this circularity. Through a circular fiber recovery program, businesses repurpose their own recycled materials such as office paper, corrugate, and any recoverable fiber such as paper labels removed from glass and plastic recycling, into fiber sources to be manufactured back into the products we use every day. Reusing recycled materials can save money, energy and other resources when compared to creating new raw materials, making it even more appealing by keeping it out of the landfill. The key to a successful fiber recovery program is collaboration. Businesses can foster partnerships with local shredders and paper distributors for example to ensure the fiber repurposed to create new products for sale is responsibly sourced and recycled. Businesses can also work with their local partners to establish proper collection and segregation systems to facilitate the collection of their waste paper and keep it from other recyclable and waste material. This guarantees that the clean material is recycled instead of being part of a co-mingled recycling process and potentially sent to landfill due to contamination. Partnering with local suppliers and distributors can also reduce freight and transportation costs and drive local economic development. Ultimately, the only way to achieve zero waste to landfill goals is by recognizing the value of recovered and repurposed fiber. Businesses who want to reduce waste and save money can rethink their entire supply chain and identify new ways to reuse materials and further reduce waste. By using and selling recycled products, businesses and customers alike can reduce their environmental impact and contribute to a circular economy. David Knight is Sourcing Director, Recovered Fiber and Operational Sourcing NA for Essity (Philadelphia, PA), a global leader in hygiene and health, and the producer of the Tork brand of professional hygiene products. He can be reached at David.Knight@essity.com. 2. The World Bank, Solid Waste Management. 3. epa.gov, Advancing Sustainable Materials Management: 2015 Fact Sheet. 5. American Forest and Paper Association.